Replaces: 75404165, 95404165 Please ask if you are unsure if these parts will work for your unit. 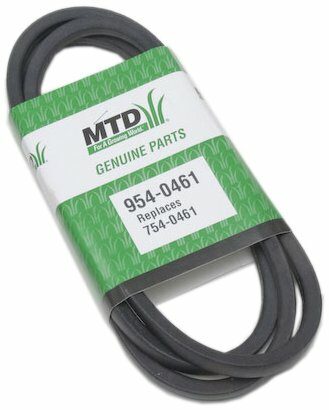 MTD 954-0461 Exact Replacement Belt Measures 1/2-inch by 78-inch. 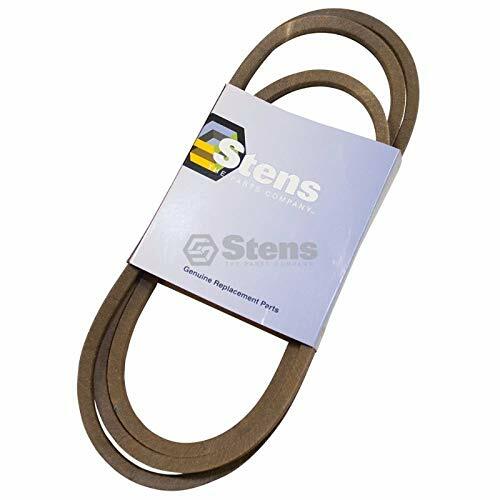 Stens carries a wide variety of OEM / aftermarket replacement parts for small engine outdoor power equipment. 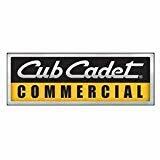 Fits Cub Cadet LGT1050 2012-2014, LGT1054 2012-2014, LGTX1050 2012-2014, LGTX1054 2012-2014, LTX1042 2009-2011, LTX1042KH 2013, LTX1042KW 2012, LTX1045 2009-2013, LTX1046 2009-2011, LTX1046KW 2011-2012, LTX1046M 2011-2014, LTX1050KH 2009, LTX1050KH 2011-2013, LTX1050KW 2011-2012, SLTX1050 2009-2011, SLTX1054 2009-2011 and SLTX1054VT. 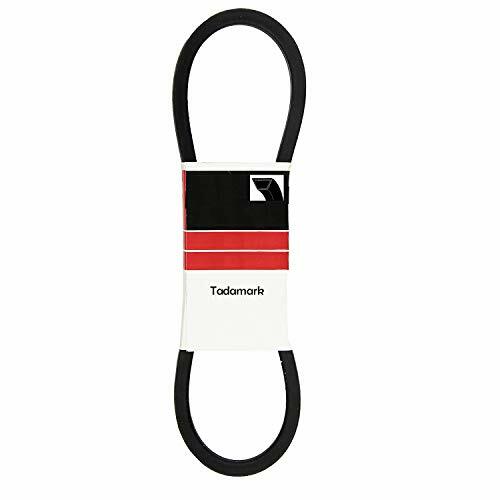 These belts are designed to perform at the identical or higher level than all other major USA Manufacturerï¿½s belts of the same type. 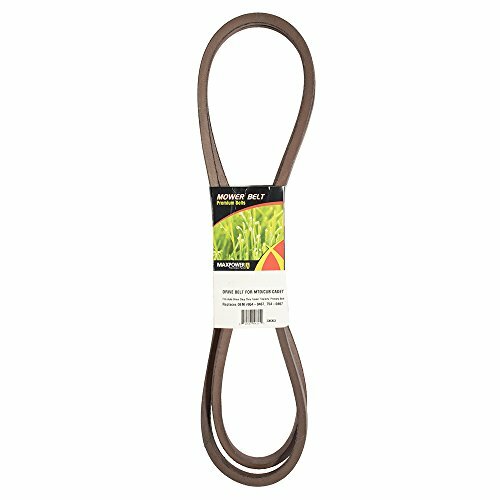 Lawn Mower Drive Belt For Cub Cadet MTD 754-04207 954-04207 LTX1042 LTX1050VT LTX1045 LTX1046 1/2"x79.3"
Applications: * Cub Cadet: 754-04207, 954-04207 * MTD: 954-04207 * Cub Cadet LTX1042, LTX1045, LTX1046, LTX1046VT, LTX1050 and LTX1050VT Package Including: * 1X V-Belt Additional Information: * Protective Cover is Made of a Synthetic Rubber Compound Having Excellent Resistance to Heat,Oil and Abrasion. 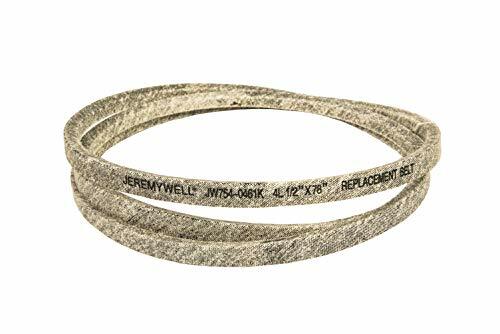 * If You Are Not 100% Positive You Are Ordering the Correct Belt Size,Use a Piece of Rope or String to Determine the ID(Inside Diameter) and OD(Outside dimension) of Your Current Belt. 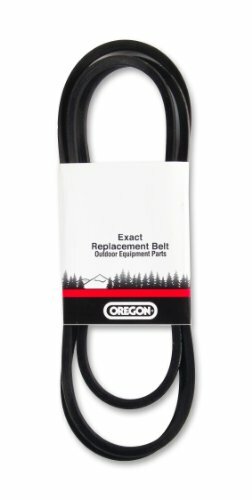 Or, if Your Old Belt is no Longer Good. Cut it in Half and Measure the Overall Length. This Measurement will Give You the OD.Subtract 2" to Determine the ID. * Our Belts DO NOT Come with SLEEVES, They are Used for Display Purposes Only. Applications: * Allis Chalmers 1601524, 2087732 and 72088100 * AYP 25723, 4798J and 67788 * Countax 22-9199-00 * Craftsman 11296, 25723, 4798J, 4866J, 67788, 8814, STD324780 and TH4H780 * Cub Cadet 754-3004, 754-3028, 954-3004, 954-3028, 754-0461 and 954-0461 * Dayco L478 * Gates 6878 * Gilson 200973 and 200982 * Goodyear 84780 * Gravely 026129 * Hahn 308464 * Homelite 108508 and 1601524 * Jacobsen 328826 * Lawn-Boy 705402 * MTD 754-0461 and 954-0461 * Power King 810078 * Rotary 7521 * Simplicity 108508, 108508SM, 119037, 119037SM, 1601524, 1601524SM,1713515, 1713515SM, 2087732 and 2087732SM * Stens 248-078 * Toro 6489, 6849 and 7927 * Westwood 062291-9900 Package Including: * 1X A76 V-Belt Additional Information: * Protective Cover is Made of a Synthetic Rubber Compound Having Excellent Resistance to Heat,Oil and Abrasion. 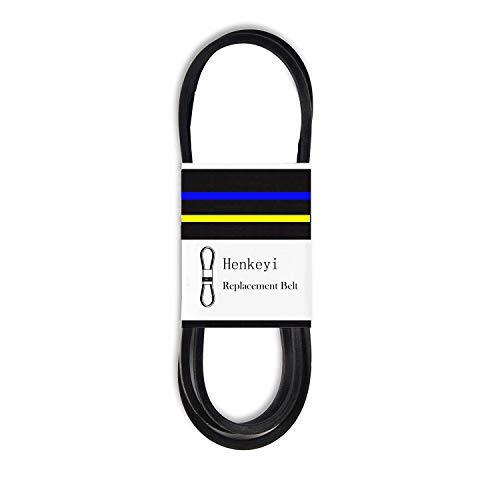 * If You Are Not 100% Positive You Are Ordering the Correct Belt Size,Use a Piece of Rope or String to Determine the ID(Inside Diameter) and OD(Outside dimension) of Your Current Belt. Or, if Your Old Belt is no Longer Good. Cut it in Half and Measure the Overall Length. This Measurement will Give You the OD.Subtract 2" to Determine the ID. * Our Belts DO NOT Come with SLEEVES, They are Used for Display Purposes Only. 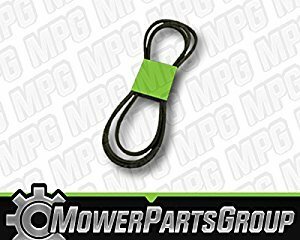 LT1045 Belt for Cub Cadet Parts LT1046 954-04118 Replacement Deck Drive Lawn Mower Belt Replaces 754-04118 1/2" x 122"
Deck Belt for Cub Cadet 46" LT1045 and LT1046 (Deck Drive) Packaging should be the same as what is found in a retail store, unless the item is handmade or was packaged by the manufacturer in non-retail packaging, such as an unprinted box or plastic bag. This is non original aftermarket part. 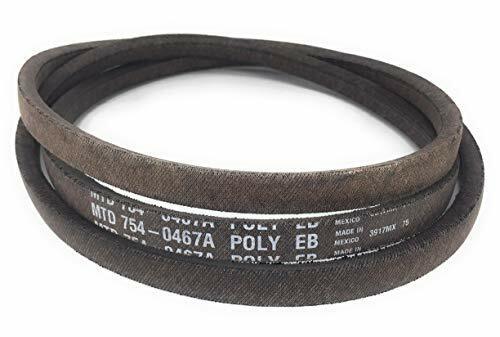 Podoy 954-0461 Belt for Cub Cadet MTD Troy Bilt White YardMan Tractor 754-0461 1/2" x 78"
TadaMark Replacement Lawn Mower Transmission Drive Belt Cub Cadet MTD 754-0461 954-0461 1/2"x78"
Applications: * Allis Chalmers 1601524, 2087732 and 72088100 * AYP 25723, 4798J and 67788 * Countax 22-9199-00 * Craftsman 11296, 25723, 4798J, 4866J, 67788, 8814, STD324780 and TH4H780 * Cub Cadet 754-3004, 754-3028, 954-3004, 954-3028, 754-0461 and 954-0461 * Dayco L478 * Gates 6878 * Gilson 200973 and 200982 * Goodyear 84780 * Gravely 026129 * Hahn 308464 * Homelite 108508 and 1601524 * Jacobsen 328826 * Lawn-Boy 705402 * MTD 754-0461 and 954-0461 * Power King 810078 * Rotary 7521 * Simplicity 108508, 108508SM, 119037, 119037SM, 1601524, 1601524SM,1713515, 1713515SM, 2087732 and 2087732SM * Stens 248-078 * Toro 6489, 6849 and 7927 * Westwood 062291-9900 Package Including: * 1X V-Belt Additional Information: * Protective Cover is Made of a Synthetic Rubber Compound Having Excellent Resistance to Heat,Oil and Abrasion. 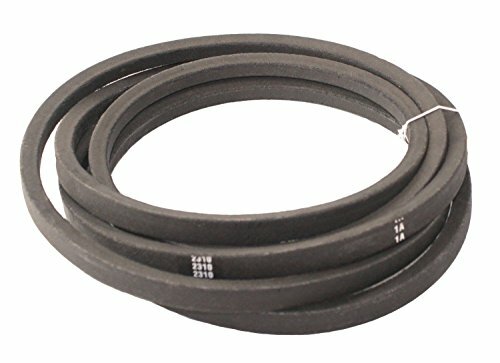 * If You Are Not 100% Positive You Are Ordering the Correct Belt Size,Use a Piece of Rope or String to Determine the ID(Inside Diameter) and OD(Outside dimension) of Your Current Belt. Or, if Your Old Belt is no Longer Good. Cut it in Half and Measure the Overall Length. This Measurement will Give You the OD.Subtract 2" to Determine the ID. * Our Belts DO NOT Come with SLEEVES, They are Used for Display Purposes Only. 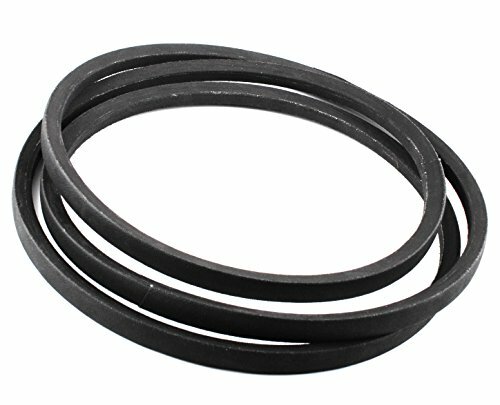 MaxPower’s 336353 includes 1 primary drive belt replaces Cub Cadet, MTD, Troy-Bilt OEM No. 754-0467, 754-0467A, 954-0467, and 954-0467A. It also replaces Toro OEM No. 112-0301 and Wright OEM No. 71460119. 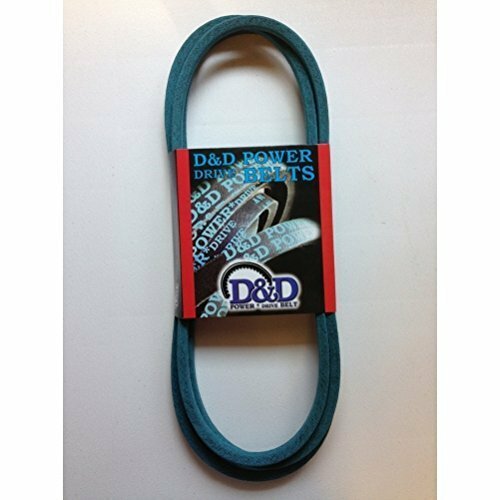 This belt measures 90-1/2" in length and 5/8” in width. 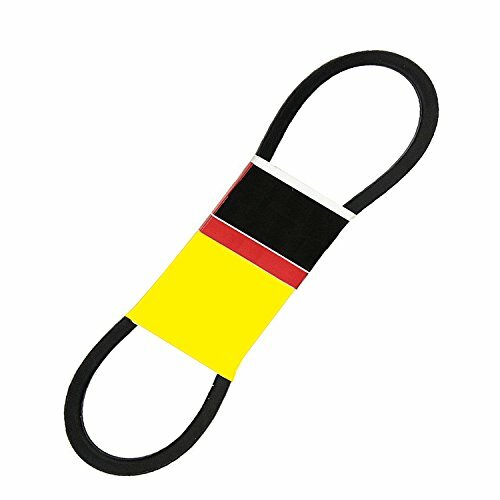 MaxPower's extensive line of replacement belts are manufactured to meet or exceed OEM specifications. 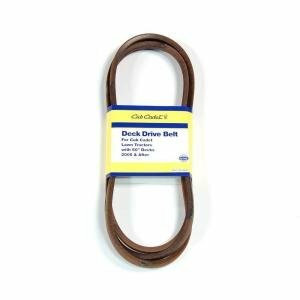 Cub Cadet 954-0461 Riding Mower V-Belt - 78"
Compare prices on Cub Cadet Drive Belt at Elevelist.com – use promo codes and coupons for best offers and deals. We work hard to get you amazing deals and collect all avail hot offers online and represent it in one place for the customers. Now our visitors can leverage benefits of big brands and heavy discounts available for that day and for famous brands.